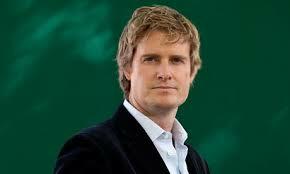 To be fair to Tristram, teaching really is a profession where we could do with a little more commitment. You only have to look at school staff car parks at 3:30pm up and down the land, empty and deserted, to know that. Walk into any staff room during lunch time and, as you listen to every adult within judging distance, giggling with glee at the prospect of being home in time for ‘Pointless’ whilst they book their seventh holiday of the year, it’s clear that any ‘moral calling’ to join a ‘noble profession’ is falling on deaf ears. Teachers are well known procrastinators, deliberately wasting their time and underperforming. If I had a free school meal for every time a teacher said to me during performance management ‘but I became a teacher for the holidays’ I’d be able to feed the juniors for free as well as the infants. Governments have tried to address this before. Knowing full well that teaching encourages even the hardest working individual to become an opportunistic slothful slouch (the sort of person who avoids ‘professionalism’ like they would the wet footprints left behind by a child wearing a verruca sock), they tried to increase the teacher’s workload. But it doesn’t seem to matter how many initiatives you throw at them, teachers just keep on hiding in the shadows and getting away with it. You would have thought performance related pay, league tables, testing nonsense words, pupil premium, sports premium, SPAG tests, removing assessment systems and having to invent your own, constantly changing inspection frameworks, new curriculums…all these, you would have thought, would have had some impact. But no: teaching remains a sullied profession and Tristram has, quite rightly, had enough. I mean what makes it worse is that it’s not just ‘those in the know’ who have noticed. Parents are beginning to wise up to the fact that teachers don’t know what they’re talking about. Luckily they can now do something about it. Due to the canniest political move since Blair told Brown ‘of course you can take over after five years’ and then mouthed ‘NOT’ whilst poor Gordon was distracted trying to add the 10% service charge to the bill, parents can have even more control over their children’s education by building free schools. There may only be a few of them, but they are the only schools where the right people are in charge with the right people in the classrooms – the more unqualified the better I say, as it makes it easier to do what the parents want if you haven’t got to view their requests through a lens of ‘knowledge’, ‘experience’ or ‘being an actual educator’. Spare a thought then for all the other parents, who have to live with the fact that their local authority school or academy chain is being run by people who consider weekends as some kind of entitlement. Luckily, Tristram has a two point plan to change all of this. He will first make teachers take a ‘Hippocratic oath’ and he will then give them an actual compass. I could go into details here about why these two things are brilliant ideas, but I wouldn’t want to patronise you. It is a brilliant plan; anyone can see it: the oath will mean that teachers finally see that they are expected to work hard ‘educating’ and the compass will help them navigate their way to the toilets in a new build. There really is nothing more to add. Bravo. It is so nice to be able to get behind someone who ‘gets us’ and sees the wood despite all the trees. Like a laser beam zoning in on James Bond’s balls, Hunt has teaching in his sights and knows how to sort it all out. He knows that the profession must elevate itself from the bargain basement expectations we currently have and soar like Icarus towards the light – and his two point plan will make sure we never get anywhere near the sun. Clever Tristram. What better way to make us better than giving us an oath and a compass? I mean, you could argue that dismantling free schools, redefining assessment procedures so they are meaningful, cutting back on nonsense policies that distract us from teaching and learning, not dumping social issues onto our laps and expecting us to fix them/eradicate them with no more cash or time, creating an inspection system that isn’t driven through fear and inconsistency, respecting schools to make decisions that benefit the whole community rather than pandering to lone, loud voices, and generally valuing teachers for doing an incredibly complex job in an increasingly complex world, would also help restore teaching to its stature as a noble profession, but, like most of us teachers out there, maybe he’s afraid of hard work. Never mind, I’m sure the compass will work just as well.